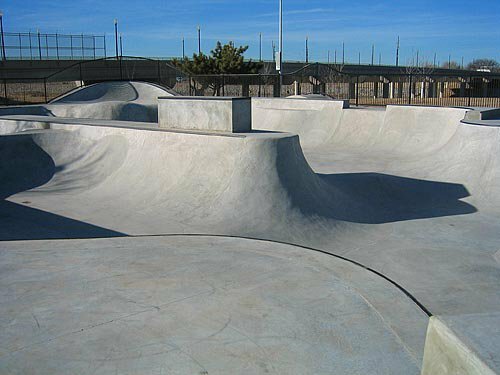 Located just south of the downtown area and the Oklahoma River, this 26,000 sq ft skate park is one of the largest and most challenging in the state. The park is a skate or ride-at-your-own-risk, non-supervised facility designed for skateboards (34" maximum length), in-line skating (4-wheels maximum per skate) and BMX freestyle biking only. 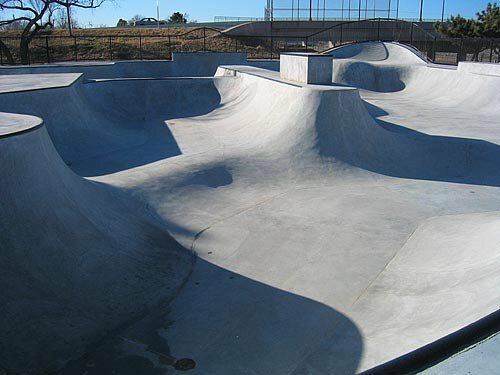 Divided into two separate areas, this skate park features a flow course consisting of bowl combinations of varying shapes, depths and heights, plus a street course with ledges and handrails. The two areas are connected by a 20-foot-wide sidewalk with all types of obstacles. Participants are required to wear protective gear, and children ages 11 and under must be accompanied by an adult. The park will be monitored regularly by police and security patrol. Amenities at the park include lighting, a picnic table, water fountain, paved parking, 911 phone and fencing. The Mat Hoffman Action Sports Park was named a "Top Ten" skatepark in the U.S. in the 2009 National Geographic's "The 10 Best of Everything Families; An Ultimate Guide for Travelers." Park is open from dawn until 11pm. Lights on the court will begin to flicker off at 10:50pm, warning skaters that the park will soon be closing. 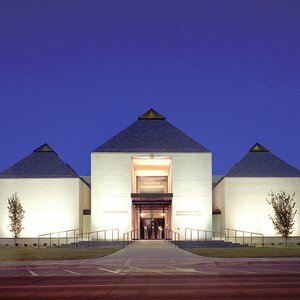 Located just south of the Oklahoma River in Wiley Post Park. Visitors can access the park by turning east off of Robinson Ave at SW 17th St.